Semaglutide , a glucagon-like peptide-1 or GLP-1 – presently available as once a week injection might one day be available in pill form, research suggests. 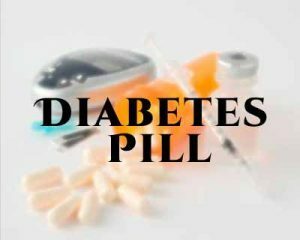 Scientists from the Leicester Diabetes Centre at the University of Leicester have reported that a semaglutide pill has been shown to lower blood glucose levels by almost two per cent and help patients to lose weight. The pill will enable patients to better control their condition and reduce the need for insulin injections. Unlike many of the current treatments, semaglutide doesn’t carry the risk of causing low blood sugar or weight gain. Semaglutide works by stimulating insulin production while suppressing both glucagon (the hormone that raises glucose levels) and appetite. The study included just over 1,100 people with type 2 diabetes recruited from 100 centers in 14 countries around the world. The volunteers’ average age was 57. The average time they’d had type 2 diabetes was six years. On average, they were considered obese. The participants’ average hemoglobin (HbA1C) levels were between 7 and 9.5 percent. HbA1C — also called A1C — is a measure of average blood sugar control over two to three months. The American Diabetes Association generally recommends an HbA1C of less than 7 percent for most people with type 2 diabetes. The study volunteers were randomly placed into treatment groups that lasted 26 weeks. One group was given a once-weekly injection containing 1.0 milligram (mg) of semaglutide. Five groups were given one of five doses of oral semaglutide — 2.5, 5, 10, 20 or 40 mg. Another group was given escalating doses of the pill version, starting with the smallest dose and ending at 40 mg. The final group was given an oral placebo. The NDA for once-weekly semaglutide was submitted to the FDA in December 2016 under the U.S. FDA’s Prescription Drug User Fee Act V (PDUFA V) regulation. Semaglutide is currently also under review by the European Medicines Agency and the Japanese Pharmaceuticals and Medical Devices Agency.